As residents in the era of online streaming with endless flows of series to watch, HBO Nordic - The Home of Series - wanted to make some extra noise prior to the launch of season 2 of their popular series, The Handmaid’s Tale. Using the online space for a press initiative, we spread the word through social media influencers by gifting them with a basket full of fruity secrets. In Denmark, streaming services are booming these years and Danes are to a greater extent shifting from watching flow-TV to streaming films and series through online platforms. As one of the largest Video-On-Demand platforms, HBO Nordic strives to be the top-of-mind service within the Scandinavian market. 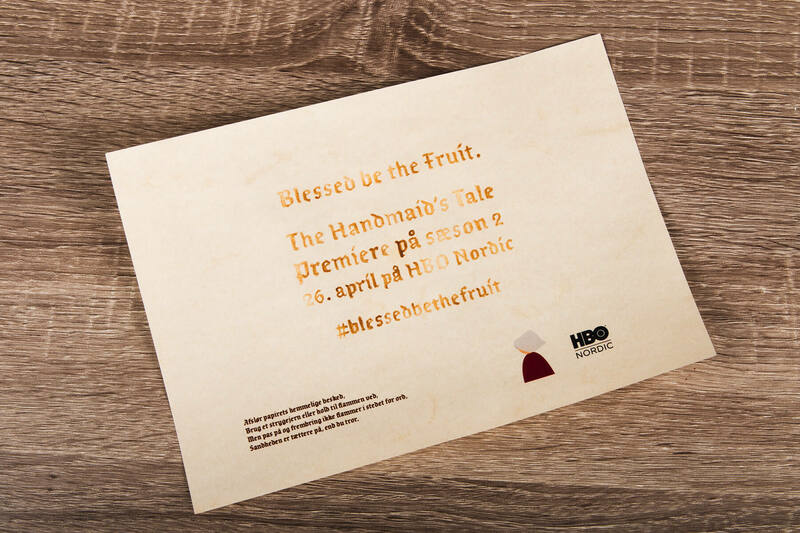 To conquer this market position, HBO Nordic puts special efforts to communicate and inform the public about launching new season premieres such as utopian hit like The Handmaid’s Tale. 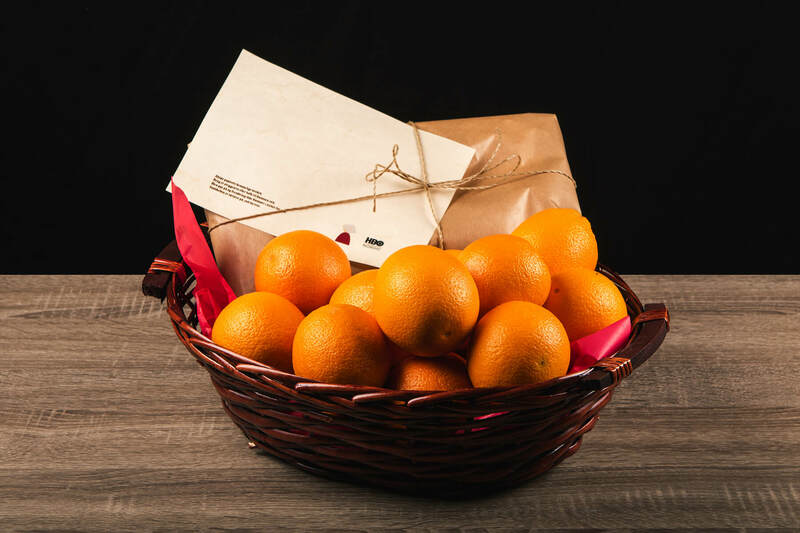 In the spirit of The Handmaid’s Tale universe, 15 Danish influencers were gifted with a basket full of blessed oranges, a limited T-shirt and a secret note whose message could only be revealed with the heat of flames. Now, it was up to the influencers to find out what the mysterious note was trying to tell them. With a media budget of $0, the secret note was revealed in real-time through Instagram stories by a handful of high-profile influencers which resulted in a reach of 875.000.